It looks like its $500 million to $1 billion for South Florida investors, depending on how much investors thought they had. That's what $200,000 to the Republican party, and a lot of grease to Gov. Christ gets--another giant con to investors. And it will also hit TD bank for close to $100 million. For insurance that they had on the investments! The son of working-class parents from New York City, Mr. Rothstein made his fortune by building a prominent Fort Lauderdale firm in the early part of this decade. Along the way, he forged ties with Florida luminaries, including Gov. 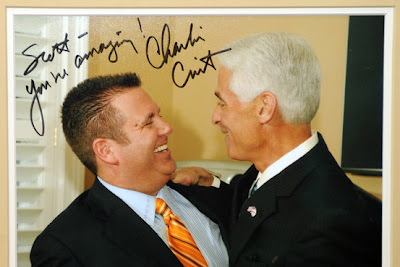 Charlie Crist and pro-football legend Dan Marino. He cruised around town in Lamborghinis, flew chartered private jets, and owned several mansions overlooking the canals that have earned Fort Lauderdale the moniker the Venice of America. Last month, the lawyer's fast rise came to a crashing halt after investors alleged that he had sold them stakes in phony employment-dispute settlements. Since legal settlements often are paid out over time, it is not unusual for employees who need the money right away to sell their stakes at a discount in exchange for an up-front cash payment. But according to investors' allegations, Mr. Rothstein was selling stakes in settlements that didn't exist -- yet promising lucrative annualized returns. 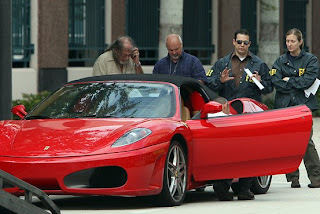 He drove Bentley's to Bugatti's, and ran around town in this Ferrari that the Feds now have. 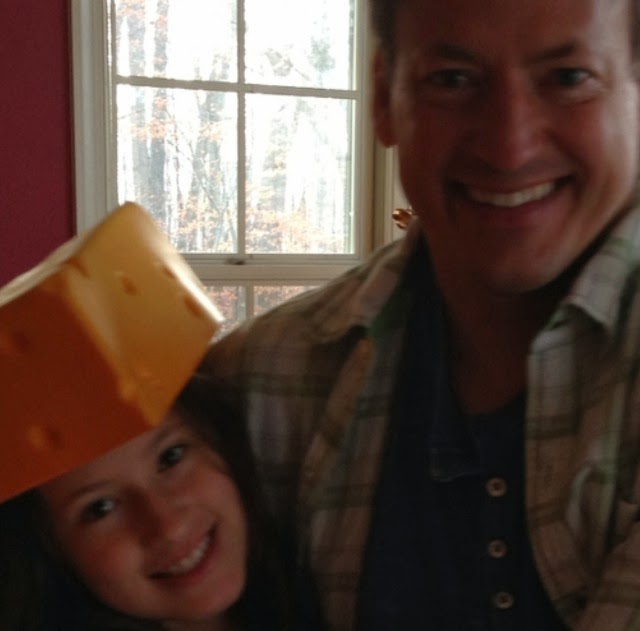 The headline of the WSJ article was, "Lawyer Crashes After a Life in the Fast Lane." Attorneys who worked with and against Mr. Rothstein describe him as exceedingly driven. They say he often wore his humble roots on his sleeve, regaling colleagues with stories about his upbringing in the New York City borough of the Bronx, where his father, he said, was a condom salesman. Fast lane? Condom Salesman? Crashes? They say one picture is worth a 1000 words. So here's the Rothstein story in one picture!